Moschip was India’s first fabless semiconductor company, producing application specific integrated circuits for computer peripherals, data communications, and consumer electronics. It is also the only semiconductor service company with extensive design experience in markets such as aerospace and defense, consumer electronics, audio and video, networking and telecommunications, mobile electronics, security, and software development. The company’s ‘fabless’ model replicated that of leading global semiconductor companies by outsourcing the manufacturing function and retaining the design and marketing functions in-house. The deal was proactively sourced through proprietary sources of the fund partner. The company’s founder, who had a history of successful serial entrepreneurship in the Silicon Valley, had returned to retire in India when he was approached by the fund manager with the idea of starting a semiconductor company. Ventureast invested in the opportunity through the APIDC Fund from its start up in the year 2000. After the seed funding from the APIDC Fund, the company received subsequent co-investments from UTI Ventures, Schwendiman Partners, and Flextronics. Ventureast played an active role in Moschip by reviewing and validating the business plan, helping set the strategic direction, and by helping it go public. Ventureast continued its active role by helping the company in its GDR issue. Between 2002 and 2008, Ventureast exited its entire stake with attractive returns. 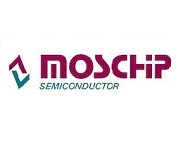 Currently listed on the Bombay Stock Exchange, Moschip is one of the top ten semiconductor companies in India.